The job of a journalist is becoming more and more popular nowadays. Thus, a lot of teenagers enter specific schools, colleges, and universities in order to get such a degree. Some students decide to go to a journalism school first of all. They think it is truly beneficial for ones, who want to become good specialists in this field. Is it a correct decision or not? Maybe, these teenagers make a mistake while enrolling a journalism school. On the other hand, this profession may be not suitable for them at all. However, in this article, we will try to present the main reasons why you should enter such an establishment and what benefits it gives to young people, who want to get journalist’s job. Pay attention to these points if you want to save your time and protect yourself from possible difficulties. Unfortunately, many young people are not aware of the main functions of a journalism school and why it is necessary. Moreover, some of them do not realize what it is. Journalism schools are usually parts of a department in a university, where young people are trained in order to become specialists. They learn specific subjects and develop some skills necessary for this job. 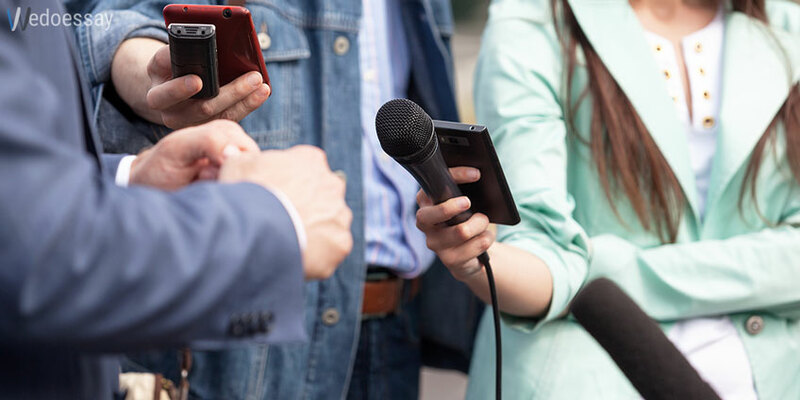 Despite people had no specific degree in journalism in the past and gained their attainments in practice, this education has been required in the major part of companies, including world-famous newspapers and magazines. To start with, a degree from a journalism school is not usually in the list of main requirements to candidates, who apply for a job. However, it often plays a role and gives some benefits to a person who has it. As a rule, employers pay attention to this point and choose a candidate, who graduated from a journalism school, instead of someone who simply finished a university education. It means that greater job opportunities may be opened up for this person and he or she can even get a better position in the company. Moreover, it demonstrates that you are dedicated to this job as you are ready to spend more money and time on education than others. Of course, not all of your group mates will become journalists or newspapers’ editors. Some of them will have a completely different job in the future. However, the other part can be pretty successful in this sphere and even get top-notch positions in worldwide magazines or TV channels. Sure, they will be glad to help you in case you look for a new workplace or simply have some professional issues in your life. On the other hand, you may just need to consult with someone and get a review on your article. Hence, it is essential to establish good relationships with your fellows. Keep in mind that anyone of them may become a big boss and then support you as an old school mate. For every beginner in a journalism sphere, an experience is a big problem. Most of the young people have no published articles and write only simple essays for their college. This is a great disadvantage for everyone who wants to become a journalist. By the way, websites like wedoessay.com can perfectly help in writing essays. Experience is a necessary thing in such a case and a specific school may help you gain it. You will have to write a lot of papers on different topics and probably some of them will be published in a local newspaper. You may present these things as the samples of your work while trying to land a job. The majority of professors at a journalism school have some good contacts in this sphere. Some of them are famous specialists and are aware of all the pitfalls of this profession and secrets you should know. It is very important for teachers to have some practical experience with their subject. Moreover, you can develop good relationships with these teachers and then ask them for help while looking for a nice workplace. In addition, they can inform you about the availability of a good position thanks to the beneficial contacts in the media world. It may be truly hard to get a job in a famous newspaper right after graduation. Thus, you should stay on good terms with your professors. Although it was not necessary to get a specific degree to become a journalist in the past time, it plays a big role nowadays. Your main target in this school is reaching some skills and knowledge in order to deal with tasks better. Furthermore, competition between journalists is very high in the modern worlds. That is why a degree from a specific school is always a plus to your reputation. It is especially significant for young people, who want to reach a great success in this sphere and become executives, but not average workers. To sum up, there are some truly good benefits, which can make your career of a journalist better and easier. Despite many people say that a degree from a journalism school is useless and it is a waste of money, there are some advantages, which may completely change your life and open up lots of new perspectives. Do not ignore these things in case you want to become a professional in this field and have your articles published in the worldwide newspapers and your interviews shown on famous channels. We hope that you will deal with studying at such a school and never regret entering it. Analyze your possibilities and desires diligently and then make a decision. In the next article, you will find some pitfalls of a journalist’s job and why it may be hard to get an employment. Rated 4.5 | 126 votes.